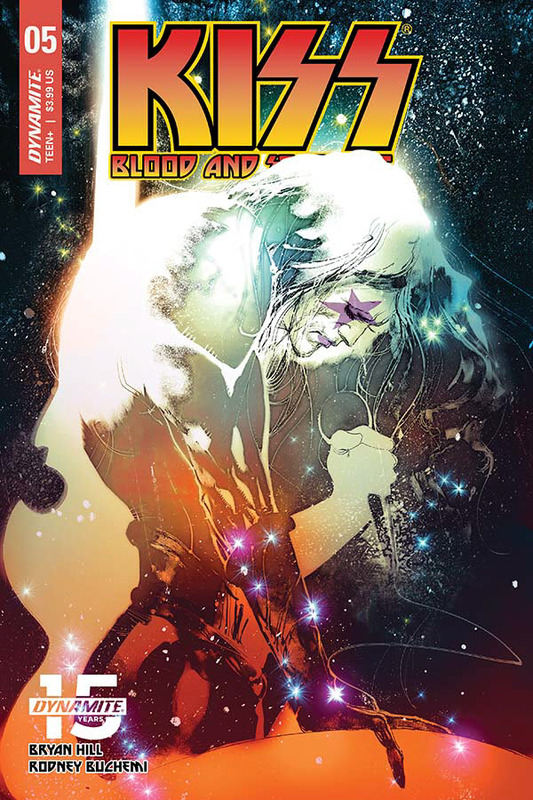 This issue starts not with a bang, but a whimper. It’s not an action-packed opening but one which sees Lilith guiding Alicia and hoping she will choose the right path. She’s helping her protégé without doing the work for her. An emotional moment between the two female heroes. I must say that this is a great story about overcoming your inner-demons, but I’m disappointed. 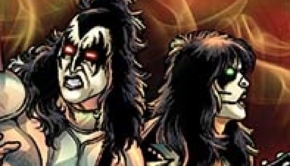 For some reason this is called a Kiss comic book, but Kiss is barely in it. Gene is the only member of the band that has anything worth saying or doing, the other members are background props. 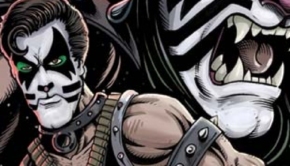 This has been a problem with a lot of modern Kiss comics. Most of these comics would be great stories without the band in them, and this one is no exception. Like I said, a great story, but the focus isn’t on the Kings of the Night Time World. They are secondary characters in their own books lately. 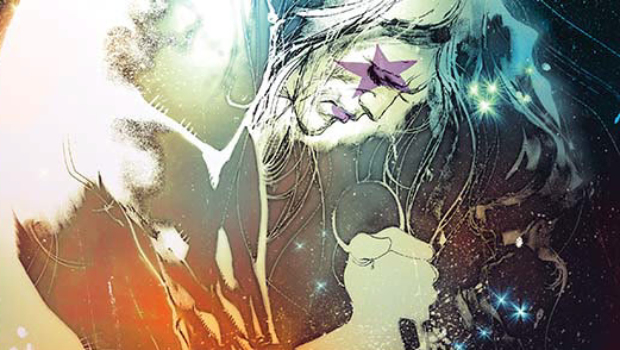 Where is the Kiss that became Superheroes in Marvel Super Special # 1 way back in 1977? 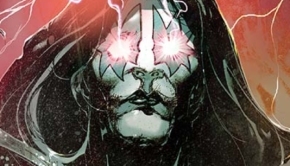 As I said, this isn’t a bad comic at all, but if Kiss wasn’t in it, no one would notice because their presence isn’t necessary to tell the story. Can someone write a Kiss comic where they’re the protagonists, please?! Bryan Hill has created an awesome universe filled with Demons and monsters which infiltrate our every day lives. It’s fun to see the main protagonist face her nightmares and Derek Crowley is an antagonist to be reckoned with. It’s a treat to see this tale come to its conclusion and it’s a good read. Rodney Buchemi brings this hellish world to radiant life and his demons are truly terrifying. The hatred etched into Derek Crowley’s face tells the story of an average joe gone horribly wrong with demon possession. The fear we see in Alicia also tells a tale. A tale of learning to cope with our fears and when she must rely on herself instead of Lilith, we get the impression that she isn’t sure of her capabilities. This all shines forth strongly in the illustrations.